Jean Anne (Jeanne) Jorgensen was born in a two-room cabin northwest of Abee in Alberta. She is a retired nurse, and comes from a farming background, so got used to having nature as part of her world. She  finds it difficult to believe that she has been writing since the age of 8 years, and publishing haiku and related poetry since 1987. Her haiku have been widely published. 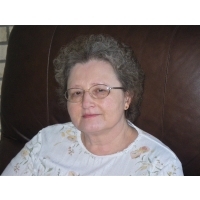 Jeanne has returned to writing free and rhymed poetry for her grandchildren, as well as short stories. Though she is still writing haiku and related poetry, she is also involved in writing the biographies of her family to include in her genealogy studies. 2014) and in Kamesan's World Haiku Anthology on War, Violence and Human Rights Violation (2013). Credits: "early May" - Canada Haiku Anthology (2014); "not a surprise" - Honorable Mention, haiku contest about Mt. Fuji (Japan, 2013); "early dawn" - Hexagon Sampler (2012); "if dry, cracked soil" - Frogpond (2011); "the flash" - Haiku Canada Review (2011) in memory of Bob Spiess; "November morning" - Frogpond (2008).